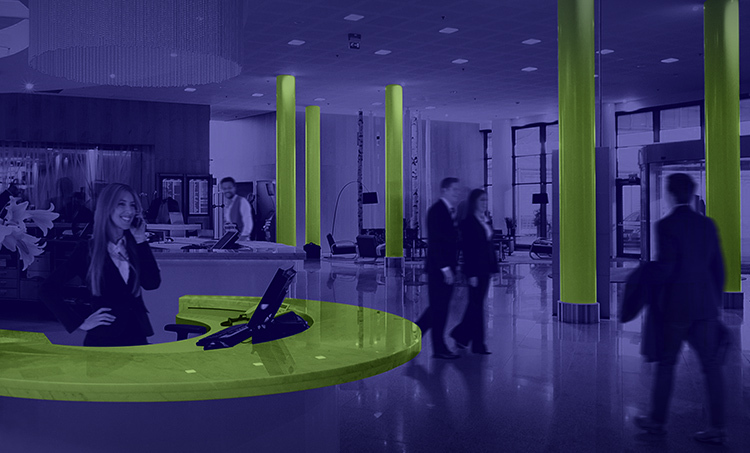 People make hotels, offices and university facilities come alive. It’s them you’re thinking of when you choose the safest, most efficient fire suppression system. VdS-approved AquaMist® ULF systems provide superior low-pressure water mist fire suppression. The innovative engineering and effective design of AquaMist® ULF systems allow you to use less water to protect your building than traditional sprinkler systems without sacrificing performance. 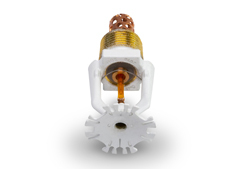 Our systems feature a range of nozzles to help protect against different fire risks. Environmentally friendly. The internal diffuser of our nozzles produces a fine water mist spray that uses less water than a traditional fire sprinkler system. Because they use no hazardous chemicals, they’re safe for people and the environment. Suited for your needs. 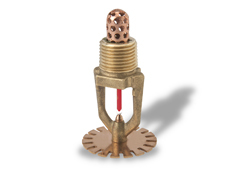 Our specially engineered nozzles are ideal for building protection and accommodation spaces. They minimize water damage to your building’s interior since they use less water. Third-party tested and approved. Our nozzles have been rigorously tested. AquaMist® ULF AM34 and AM28 nozzles are VdS approved, and the AM30 is VdS approved when used as part of an engineered wet pipe low-pressure system. Backed by a global leader. AquaMist® ULF nozzles belong to a rich legacy of expert engineering. 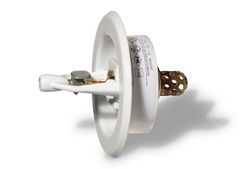 Johnson Controls is committed to driving innovation and advancing safety in fire suppression. 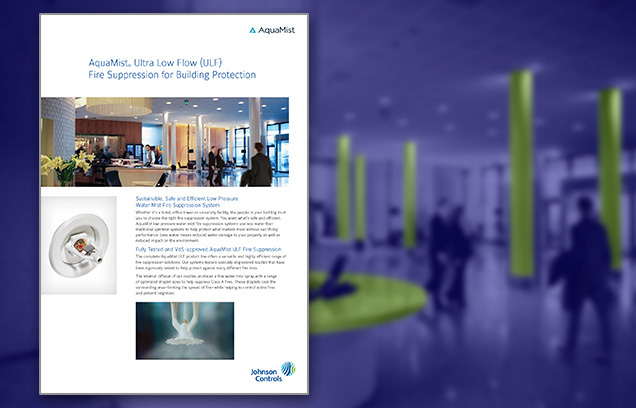 AquaMist® ULF systems are designed to help save lives, protect property and ensure business continuity. Watch this short video to see the AquaMist® ULF system in action and learn about its distinct benefits. The AquaMist® ULF system features specially engineered nozzles. This sell sheet provides more insight into how their different designs benefit specific building protection and accommodation applications. Find out how AquaMist® ULF nozzles can help protect your building.